Debt-stricken Ireland will receive a massive bailout of over $1 billion from the European Union and International Monetary Fund. The decision has not been welcomed by British taxpayers and economic experts. 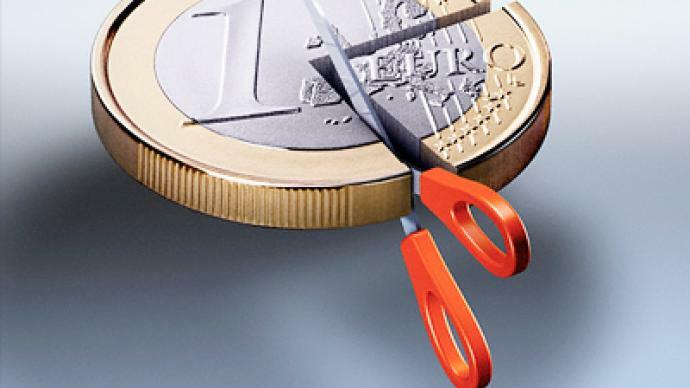 The bailout of Ireland is the second emergency rescue package organized by the eurozone, after similar measures were taken for Greece, and it is likely not to be the last one either. Britain is currently justifying this measure to its taxpayers by explaining that Ireland is a major trading partner, but Sam Bowman, head of research at the Adam Smith Institute in London, says the bailout is approximately as smart as giving money to your bankrupt neighbor and hoping that he will spend some of it in your shop. “It just doesn’t make economic sense to bail out Ireland in this way,” he said. 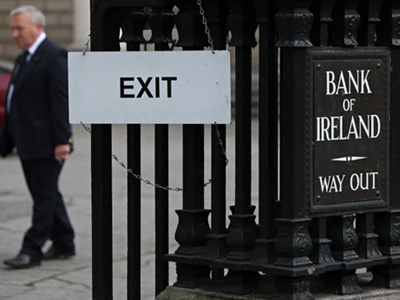 The Irish are just as doubtful about the bailout as the British are, Bowman said. “The general Irish public do not want this bailout. They think it’s bad for the country, because really what it is is a bailout for the Irish banks and the Irish government, rather than the Irish taxpayer,” he said. With Portugal and Spain already lined up for the next bailout, Sam Bowman thinks the eurozone’s days are numbered. With the euro’s collapse being a question of time, Bowman said, there is a choice between doing it in an orderly way or waiting for it to happen naturally, with the fall of some major European economies. In fact, Bowman said, most countries in the Euro zone would be better off if they returned to their own currencies. “I think it’s time that Ireland leaves the euro, and Britain should do what it can to help Ireland, but not at the expense of the British taxpayers,” Bowman concluded. ­According to British conservative MP Douglas Carswell, the bailout means that Ireland is only furthering its debt. The monetary union of Europe is a political delusion, he says, which hampers economic development. “I don’t think it’s just Ireland that’s in trouble; there are other, bigger countries in the euro zone that are in trouble, but whatever the markets do short-term, the fundamental problem is this: you cannot have a common set of interests and a common monetary policy across disparate economies,” Carswell said. “If you try and do that, you are putting political delusion ahead of economic reality, and millions of Europeans are paying the price,” he said. “Worse, it creates a debt union, which in effect means that the 27 member states have a common bank account. And as would probably happen if you shared your bank account with your 27 neighboring houses in the street where you live, you would probably find that one or two members spent more that they should. That’s exactly what happened in Europe,” Carswell added. ­Dionyssis Kefalakos, editor-in-chief of the New Europe newspaper, says the bailout was the only way out for Greece. However, after Ireland, wealthier European states are not going to be willing to bail out any more failing economies, he adds.